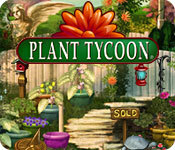 From the creators of Fish Tycoon and the epic Virtual Villagers series comes Plant Tycoon, a great new plant simulation where you grow plants, harvest seeds, and sell adult plants in the Nursery to make money. Monitor your plants health, age and maturity and be careful of dehydration and infestations. Set the price for your creations and sell them to fund your Magic Plant Research and to buy better supplies to use in your Nursery. Discover the Magic Plants and GET RICH! 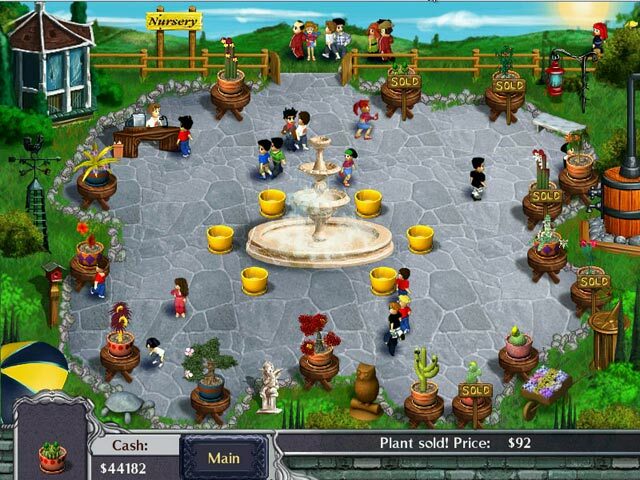 Plant Tycoon is rated 4.9 out of 5 by 30. Rated 5 out of 5 by jeanettewinterso from Haunting... Ok, more than four years ago I started yearning for some Zen and greenery in my life, and began playing Plant Tycoon with no actual skill or green thumb. This game was my stress reliever. No real plants or vegetation had to die during my experimenting with nature. I also enjoyed displaying and selling my plants at the nursery (which adds a nice business aspect to the game), and the bug catching side mission. Highly recommended; Alas, there has been no sequels as of yet. Rated 5 out of 5 by sandy0935 from LOVE THIS GAME I bought this game over a year ago and its still one of my favorites. Its slow starting out, and I do get impatient, but after just a little while you can make enough money to keep yourself in instant grow bombs. I love crossing the plants and finding the magic plants. I also like collecting all the different insects. The only thing I thought could be better is that before too long you already have bought all the upgrades you can by and theres nothing left to decorate your nursery with. They could have made decorating the nursery better, but overall, its a good game. Rated 5 out of 5 by LikaLaruku from First game I bought from BFG back in the day. Game may only have 4 songs, but I managed to track down the artist & get mp3s off him. You could relax to them or even use them to lul a baby to sleep. It's a pretty slow paced game that could take months to "win," & by win, I mean buy everything in the shop, max out your plant nursery, & discover every crossbreed. The fact that you can fail & be set back adds challenge & the variety of plants adds endless gameplay. Be sure to visit "Last Day of Work" & nag/beg them to make a sequel. If you like this game, you should enjoy "Virtual Families," "Fish Tycoon," & "My Tribe." Rated 5 out of 5 by betskand62 from I absolutely love this game! This game is not for the impatient. But it is so engrossing...if you like plants, I think you will love this game. You have to watch them, feed them, kill pests, fertilize, etc, and do it as the plants grow. You can leave the keyboard to do other things and when you come back the plants will have grown, produced seeds and so on. Thank goodness you can set the time so that if you turn it off for 20 hours you don't come back to find everything dead. (I killed everything the first time.) The details are amazing. And you sell them in a nursery, but only when they are ready. I think this may be my favorite game of any, and I have LOTS of games from BigFish. Rated 5 out of 5 by Sorserez from If you love beautiful rare flowers... ... you'll grow and create your own flowers ! It's a lovely and unusual game, gameplay is really pleasant, and when plants bloom, it's always a nice surprise to see whether or not you discovered a new plant. Rated 5 out of 5 by Luminoire from Endlessly Enjoyable I first started playing Plant Tycoon 5 years ago, and it's still one of my favorites. I love how well-executed the cross-breeding aspect is. If you are nerdy enough to compile a cross-breeding spreadsheet (like me), you realize that there are actual "genetic" patterns in play! The soundtrack is soothing to boot. With so many possible species, this game is sure to keep you engaged for a VERY long time. Rated 5 out of 5 by Anniekp from The most gorgeous game ever This is one of my favorite games. The graphics just cannot be beat. The challenges of trying to find the correct seed combinations to create magic plants are quite difficult, especially as you advance. Whoever designed this game did an astonishing job. It's not for those who like fast paced games, but you can start seeds and come back to them-and you will! I gifted this game to my nephew, whose mother generally abhors all computer games. Even she had to admit that this one is clever and beautiful. He loved it!! Rated 5 out of 5 by Kirbecca from Great game as ususal! I love all Last Day of Work games but have to say this one is my favourite. If you like gardening and playing Virtual Villager or Fish Tycoon, you will love this game! Like gardening, it takes patience but it's worth it. Rated 5 out of 5 by katiberz from Not for everyone, but I loved it! If you've played fish tycoon it's a similar type of game. You start with a few normal seeds and average soil etc. As you cultivate and sell plants you gain money to buy more rare seeds, better soil etc. You can cross pollinate which sometimes gives a better plant other times gives a plant prone to disease that costs more money in bug spray and nutrients or dies before you can sell it. In the normal window you're just watering and planting. In the selling window you watch the creepy people come shopping with heads that swivel 360 degrees. (Pretty funny actually) You can upgrade all you tools, buy decorations for the selling area to attract more customers and catch bugs for a collection. It's not fast paced, but you can speed time (remember to set it back! I think the clock continues when shut down if I remember correctly, so stop it when away) It's fun to see what plants you can create! 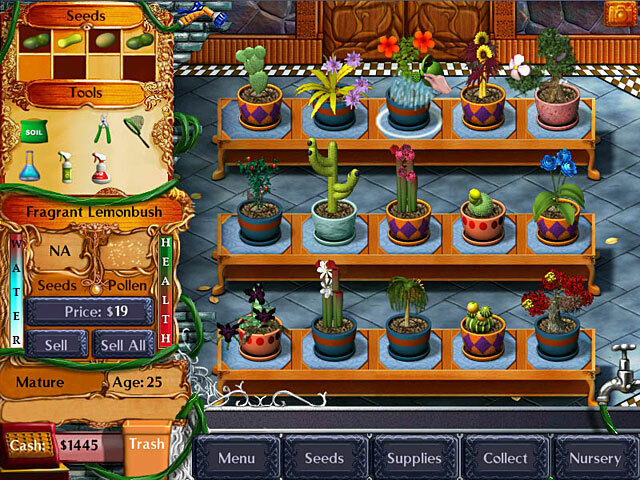 Rated 5 out of 5 by zombiefarmultra from first day of work I played this game before and I got all the magic plants. I know alot of bugs that I caught for example: golden dragonfly. Rated 5 out of 5 by DeAnna2112 from Best of the best!! Love this game and hope they come out with a second one!! If you love fish tycoon you will love this game just as much. Rated 5 out of 5 by csr1977 from Beautiful game I just love this game, it is slow pace, but I always have fun watching my plants grow, discover new species, and even catch the bugs! If you are a plant fan, you will love this game. Rated 5 out of 5 by bitsy999 from Worth Keeping This is an excellent game. I enjoyed it when I first played it, but upon playing it for the 2nd time, I discovered it's true value. This is a game where you can spend a lot of time trying to discover the 6 magic plants. At first I found the slow pace annoying, but now I enjoy that feature. I play this game on the side while working on other tasks on my computer and even while playing other games that are also somewhat slow paced. This was my first Last Day At Work game, and it has me hooked as one of their biggest fans. The game is easy enough for a beginner to play and challenging enough for even the highest level of skill. Rated 5 out of 5 by kaera from Loved it! A delightful and sweet game. Loved it! Rated 5 out of 5 by aungnaing81187 from fun like this game forgot all the stress of external life. Rated 4 out of 5 by BeccaannBass from OMG... So this game is a nice, challenging casual game. Challenging in that it is a puzzle with expensive components and so many plants to find, anyway. I am going to have to report a technical issue, though, because the LAG on this thing is ridiculous! Rated 3 out of 5 by virtualchema from Don't buy it. It's just ok to play for a little while, but there isn't really a point to this game. 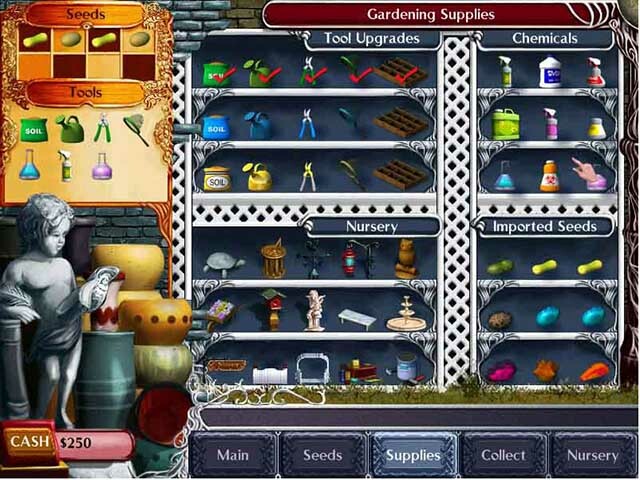 Grow plants, harvest seeds and fund your research to discover the secret of the Magic Plants in this great plant simulation.